In one of his sermons, the medieval preacher Bernardino of Siena listed seven ’fathers’ to whom one owed obedience: God, one’s natural father, godfather, confessor, benefactor, a government official, and any elderly man. 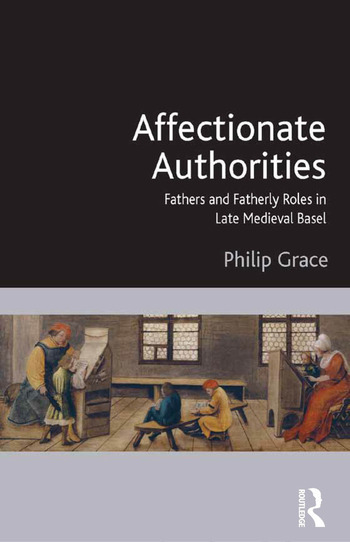 This book seeks to answer the question of why medieval Europeans saw the need for so many ’fathers.’ Why was fatherhood so appealing as a metaphor? Situated at the intersection of social and cultural history, the study draws upon a variety of late-medieval and early-modern sources including witness depositions, personal letters and pedagogical treatises from the city of Basel, Switzerland. It focuses on how people from different walks of life invoked ideas about fatherhood in the pursuit of various goals - not only the ideological agendas of scholarly elites, but also the more pragmatic problems of closing a business deal, claiming an inheritance, or choosing sides in a fistfight - before turning to what these ideas reveal about fatherhood ’on the ground.’ The book argues that it was precisely fatherhood’s basis in lived experience that gave it a familiar ’shape’ in the several roles that fathers played, including provision, affection, disciplinary authority, and education. The most potent rhetorical aspect of fatherhood, however, was not as a static image or shape, but rather the possibility of invoking connections between one role and another. The most potent connection between roles was the idea that fathers were 'affectionate authorities,' combining power over subordinates with desire for their well-being. Tracing the connections and contradictions of these identities, this study provides a nuanced view of concepts of fatherhood on the eve of the Reformation. Philip Grace studied at Wheaton College, Keble College Oxford, Western Michigan University, and the University of Minnesota, where he completed his doctorate. He has taught classes in medieval and world history at Grand Valley State University and Arizona State University. He is currently an Assistant Professor of History at Texas Lutheran University.